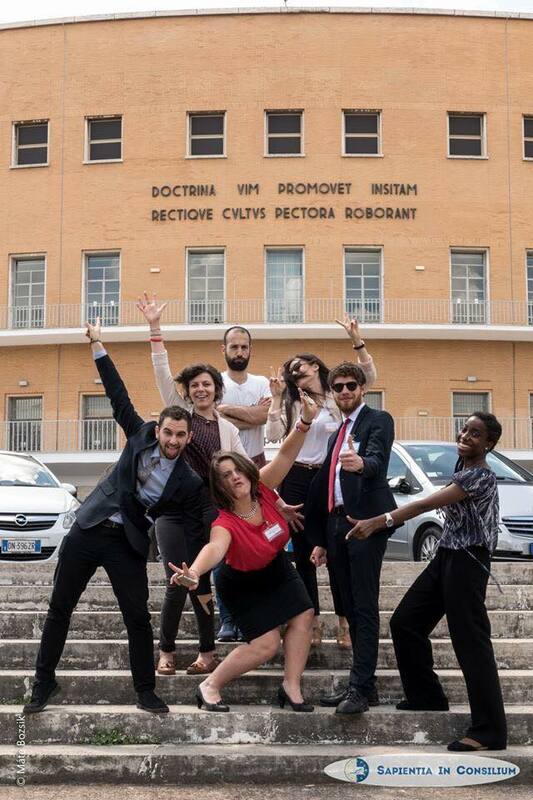 My first Model European Union was in Strasbourg (MEUS), it was amazing and i really wanted to replicate something similar in my country and in my university: Sapienza University of Rome. In the country I started with other italians present in Strasbourg a network and founded the national branch of BETA, the association that organizes the MEUs, in order to organize such activities in Italy. In my university it is pretty difficult for this kind of activities, because in the last few years the institution is having an issue with spaces which are not enough for all the lessons, and students are not encouraged enough to be part of proactive groups, so how to make a simulation possible if not even an event of half a day is smooth to organize? I found out that the answer to this question is: without giving up, with a group of people who support you no matter what. I started looking for collaborators and asked for funds with a student call for activities, we won and started organizing. The national team was fundamental for knowledge and at a local level we found other associations to support the event from the logistic point of view. In the end it came up pretty good considering the difficulties and the obstacles, and i can say that it was a success. After many months of fighting with the bureaucracy of the university we decided to make a small MEU: doing just one Council of the European Union and a team of journalists, to simulate the legislative process in part, because of classrooms issues (not big enough to be a Parliament). The main point for me, as a student who did also Model United Nations previously, was to prepare the students that were going to be present, to present them the project and set their expectations in order to have amazing participants. For this reason the four preparatory events were also part of the amount of hours one could present to the faculty in order to ask for credits. The work we have done was huge and made in a small amount of time considering the typical timeline to organize a Model of any kind, the 3 days in which there were debate and articles were only the upper part of a big iceberg.The satisfaction at the end of the model itself was great the the feedbacks of participants were encouraging, this is pushing us to organize a second edition of it, next spring. Journalist were the most amazing team i have ever seen, the paper we produced the last day made them even more proud of the job they have done and it was clearly fundamental for the model. The President of the council had two great participant as Vice-Presidents that learned a lot in a small amount of time and made it! I was the Director General, commissioner for the first Directive that had to be discussed and the only person of the team that ever took part to a MEU, while the others were from a MUN background. It has been pretty difficult to be always aligned with the team but the difficulties only made the experience better. Surely the role of the Deputy Director General has been fundamental for the survival of the event, and the cooperation with him, Francesco Carboni, was the best part of the organizing phase of the Model, he made huge efforts and somehow was able to explain things he never did by himself ever before, he was also the other commissioner. Adina Maican, as “Participants Coordinator” was one of the most valuable members of the organizers, her role was crucial to keep contact with all the participants and to support the me and Francesco. Tommaso Grillo as President of the Council and Bianca Motawi as Journalists coordinator were fundamental especially during the model itself, for communications and coordinations of participants. Important to mention also Tullio Aversa, that supported for Social Media and the layout of the Newspaper, and Deborah Bowole who supported Adina during the conference itself. The participants were our energy, they made our dream come true and enjoyed it a lot more than we expected, their engagement in the debate was astonishing and the modifications they made to the directive were far more specific than we expected. Their confidence raised day by day, and we can surely say that at the end of the Model they had a clear vision of how the legislative process works in the Council of the European Union. At the end we were one team, organizers and participants, and everyone had a personal development, this is surely going to be organized again in the spring of 2018, with a bigger team and hopefully bigger spaces and more support from the institutions. From my side I learnt a lot about cooperation and a lot about alignment, also the fact the the role of the organizers is to make it seem nothing but be great, I really hope that more young people willing to experience something like this will be in the team for 2018.